When my life feels this boring on a day-to-day basis, sometimes I feel like I have absolutely nothing to write about. Obviously, that's not actually the case - but it did get me thinking about what and how much I share here. I try to be pretty transparent when I write my posts. 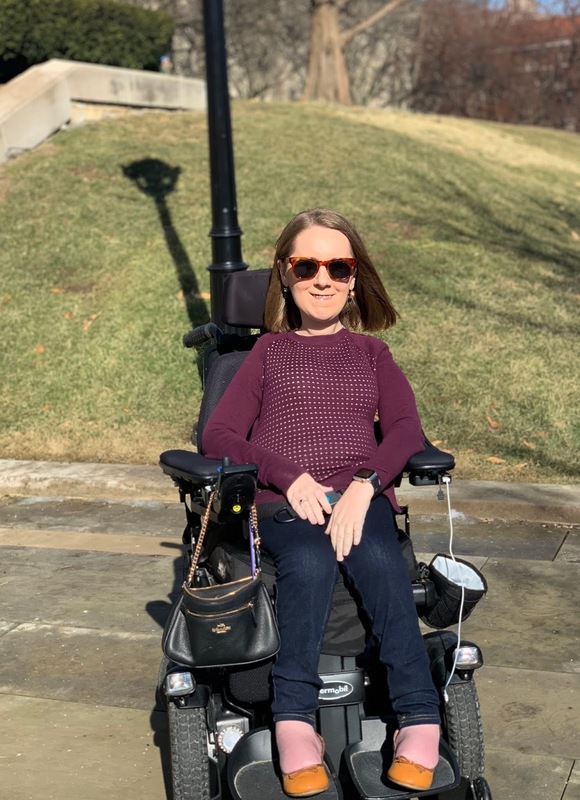 I have love sharing things about having SMA and using a wheelchair in addition to the style and beauty posts, and talk about the intersections between all of these different topics. But I do think there's such a thing as oversharing here. I don't think you guys want to hear the minute-to-minute details of every day in my life (especially when I just told you how boring it can get). And I also don't want this space to become too negative. 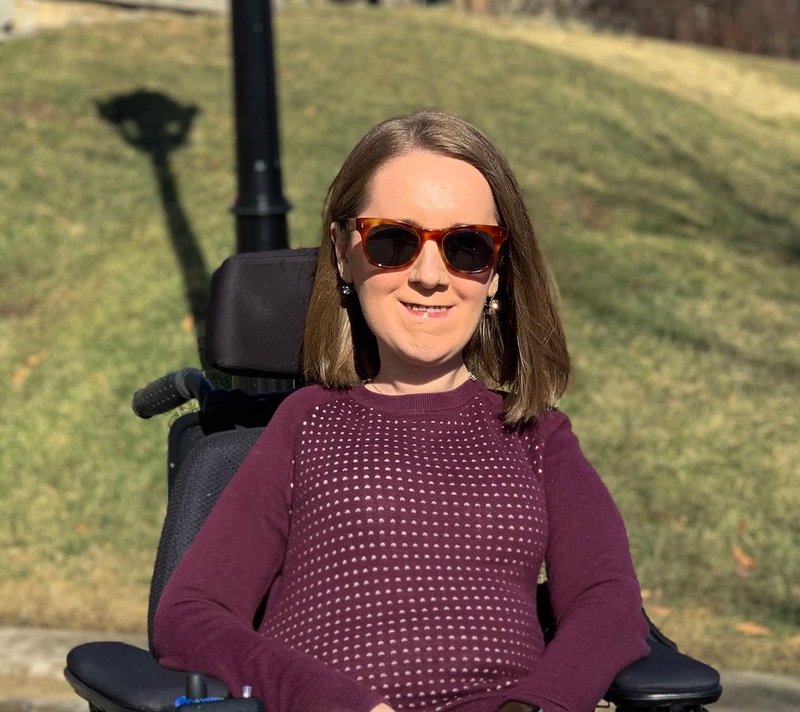 While I'm happy to share the realities of living with a disability, I think there's already a lot out there about the negatives and hard parts of it. In general, people's first response to someone living with a disability is sympathy, or saying how sorry they are, or how impressed they are that the person is thriving. It's certainly true that there are a lot of hard parts of having a disability - sometimes my attendants have to cancel, I have to rely on people for help a lot, and the logistics of planning out every day can just be challenging. I think it's a really fine line between realistically sharing what my life is like, and reinforcing the stereotype that my life is sad because I use a wheelchair. It's felt like more things than normal have been going wrong for me lately - not health wise, but just with other things related to my disability. That's why I'm thinking about this more, and also adds to me feeling like I have nothing to write. It's hard to come up with topics I'm spending time and energy just figuring out the logistics of my day. But writing here also has been a really great exercise for me - I've been able to advocate and share my interests, and when I want to, take a bit of a break from thinking about some of the stressful parts of my life. I guess I'd like to end this post with a question to you all. I've been writing for over a year and a half now, and I'm feeling like I'm starting to get my content and topics figured out. But I'd love to hear about what you most enjoy reading - do you want more disability-related posts? Is the balance good as it is? Anything in particular you've been hoping that I'd write about? You can comment on this post, or if you want to share more privately, send me an e-mail at theheatherreportblog@gmail.com.